We understand the importance of starting your young ones early. Baby teeth are not as strong as adult teeth. When a cavity starts it can become large quite quickly. Some baby teeth will remain in your child's mouth till the ages of 9-12 years old. Plus, we love being able to have your little one comfortable with the office and us. We offer FREE child visits for ages 2 and under. Child Visits entail a ride in the dental chair, an exam with our hygienist or assistant, toothbrush, prize and advice for parents on dental health. If your child is above the age 2, but has never seen a dentist and would like to have a child visit, we are happy to accomodate this request. 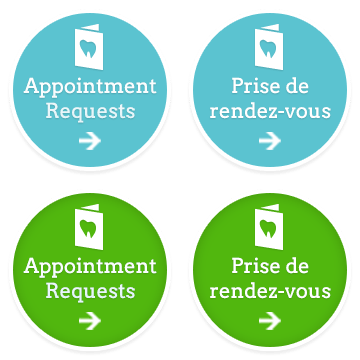 Make sure when booking the appointment, you let us know that you would like to start with a child visit.